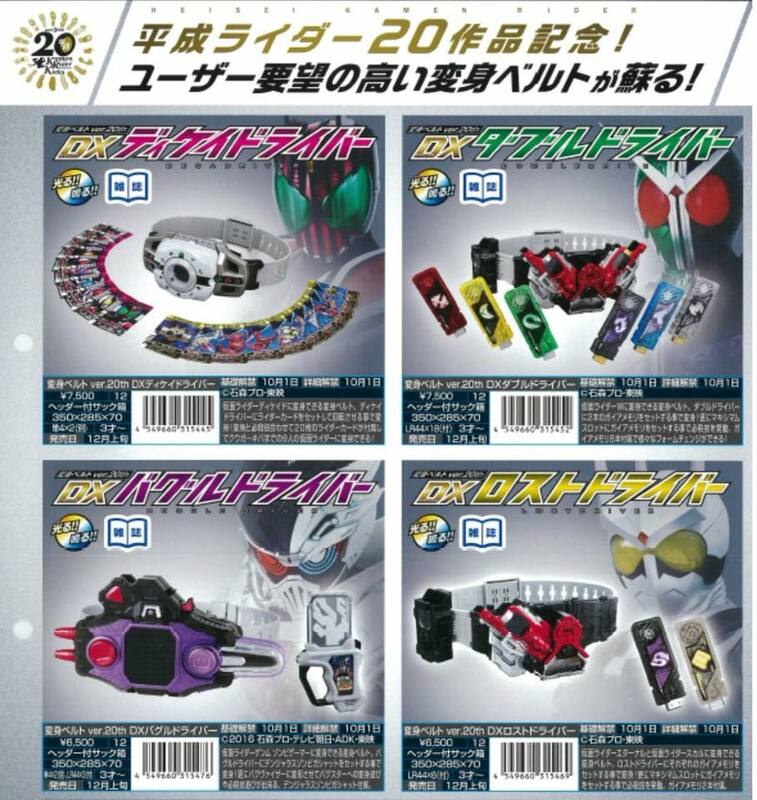 Seems like a series of Kamen Rider Belts are going to be reissued under the 20 Rider Kicks banner. Shown in the scan, we have the Deca Driver and W Drivers which appear to be the Super Best versions just under a different branding. 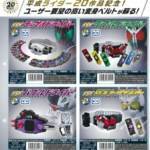 New to this are the = Lost Driver which will include non-T2 Versions of the Skull and Eternal Memories, and Kamen Rider Gemm's Buggle Driver which will include the Dangerous Zombie gashat. DX belt reissues are nice, don't think I really need any though. Buggle Visor and Lost Driver are on my list. Did Super Best Decadriver come with the Final AttackRide cards? If so, that's awesome. I have the CSM, and that's good enough for me though. I love how they chose God Kuroto over Ex-Aid. I'd love to pick up a Fourze driver if they end up doing it. Not the first time. Maximum mighty x figuart is still waiting to be announced while the repaint is displayed in all its godly glory. I really really hope there is a drive driver. I need belt-san. All times are GMT -4. The time now is 7:35 AM.